You'll be £5.60 closer to your next £10.00 credit when you purchase Hitler Triumphant. What's this? 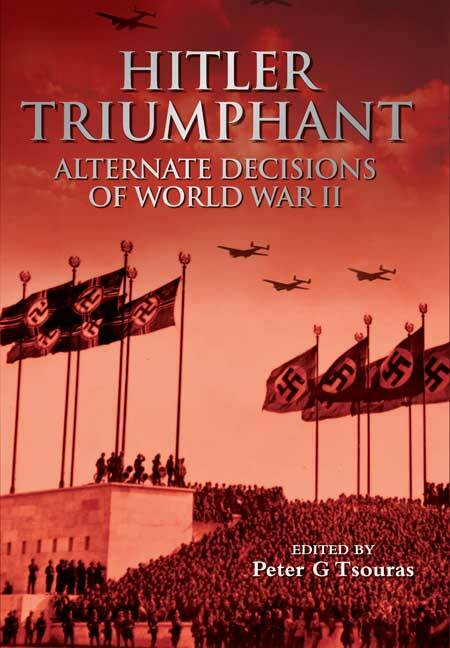 Based on a series of fascinating 'what ifs' posed by leading military historians, this compelling new alternate history reconstructs the moments during the Second World War that could conceivably have altered the entire course of the war and led to a German victory. Based on real battles, actions and characters, each scenario has been carefully constructed to reveal how at points of decision a different choice or minor incident could have set in motion an entirely new train of events altering history for ever. Scenarios in this volume include the fall of Malta in 1942 and the likely consequences and the possibility of Halifax making peace with Hitler. Other contributors include JOHN PRADOS, editor of The White House Tapes: Eavesdropping on the President, DAVID ISBY, editor of Fighting the Invasion and The Luftwaffe Fighter Force and NIGEL JONES, author of The War Walk and Rupert Brooke, Life, Death and Myth. Each scenario has been carefully constructed to reveal how at points of decision a different choice or minor incident could have set motion an entirely new train of events altering history forever. An entertaining work of counter-factual history, with some thought provoking material on the overall course of the war.